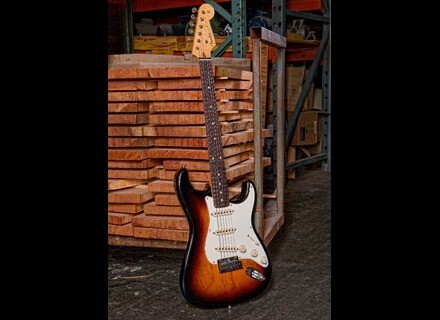 Custom Shop 2012 Closet Classic Stratocaster Pro, STC-Shaped Guitar from Fender in the Custom Shop Stratocaster series. Noone ever said that buying a custom shop guitar means that you can play everything.. this applies here as well. 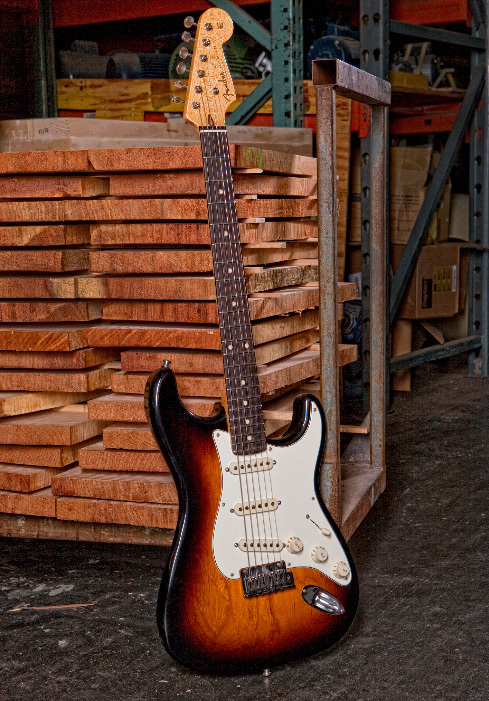 It’s about a guitar of certain characteristics with unique features. Biggest advantage is the weight of this axe. Significantly low weight without losing the tone/sustain. Excellent pickup quality, can perform great under any conditions. Hot might be a slightly misleading term since the output is moderate. Tonewise this guitar has something that can’t be easily described and might let you down when used on ss amps, but shines when plugged to high gain tubes. You might get the feeling that the EL34s won’t reveal more than the 6L6s. The oxymoron is that even though the guitar looks quite vintage ish the sound and the playability is 1985++ oriented. The fretboard seems ideal for lead style playing, something which is also being supported effectively by the bridge that it has. Chunky 60s C shape preserves the sustain and maintain the volume of higher freqs. Contoured Heel is also a great asset of this guitar, something that can be considered as an evolution of the common joint (of course there is nothing remarkable here but still a nice detail to have, compared to the common ones) while justifying that the “pro stands for prototype” moto. 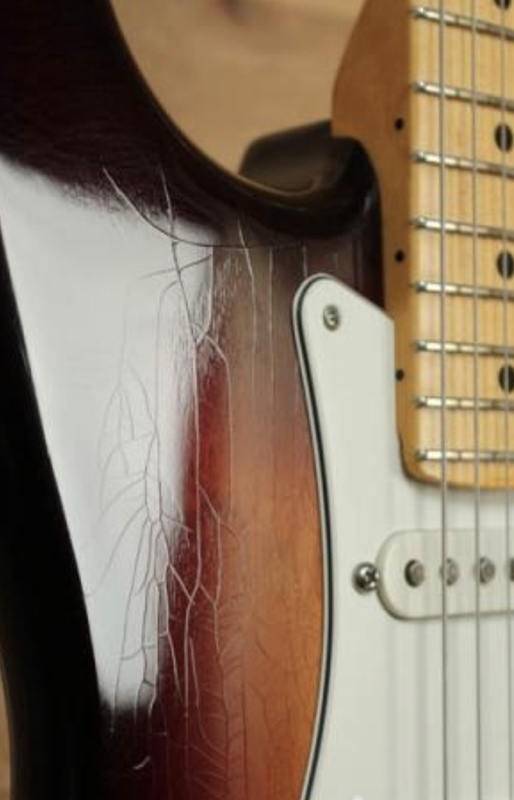 The appearance of the cracked nitrocellulose suits great to the 50s style string tree and pickguard. Perhaps not the best instrument for a working musician since it’s a bit hard to perform well on everything, while being mostly lead playing-style oriented.